RRVUNL Junior Assistant / Commercial Assistant Mains Result Check Here. 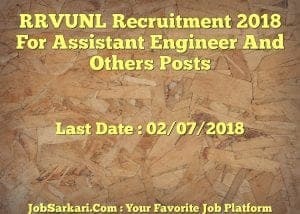 RUVNL Informatics Assistant Result 2018 Check Here. RRVUNL Stenographer Document Verification Admit Card Check Here. RRVUNL 1197 Junior Assistant/ Informatics Assistant Mains Admit Card 2018. 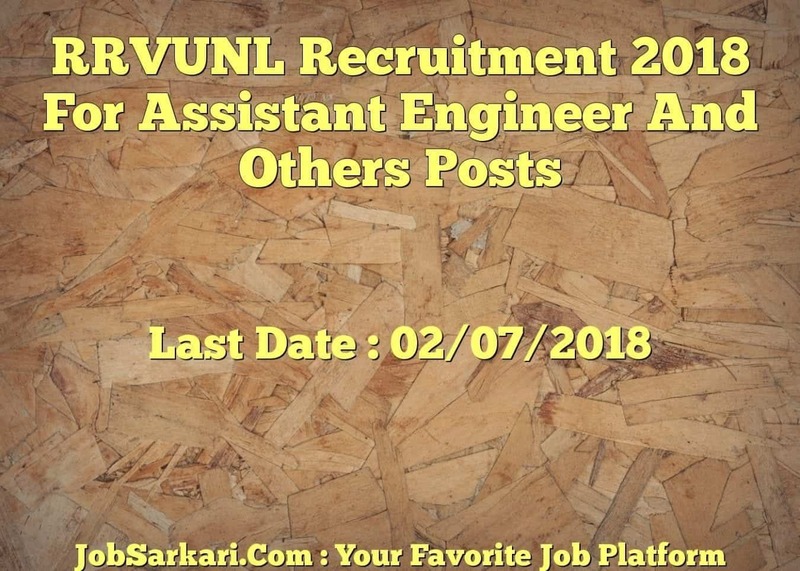 RRVUNL DV Test Admit Card Junior Chemist And Assistant Engineer 2018 Check Here. RRVUNL Notification is out. RRVUNL is recruiting for 1197 Stenographer Document Verification Posts. You can check RRVUNL - Rajasthan Rajya Vidyut Utpadan Nigam Limited last date, download RRVUNL notification, visit RRVUNL official website and check other RRVUNL Vacancy details.Complete Vacancy and recruitment Details about 1197 Stenographer Document Verification vacancies in RRVUNL are provided below by JobSarkari.Com only for you. Last Date For Apply Online. 02/07/2018. Mode of Payment. Candidate Can Pay Through Online Banking Or Debit Card or Credit Card. Electrical. 02. 82. 322. 215. 106. 727. Mechanical. 02. 00. 00. 00. 00. 02. Civil. 00. 29. 19. 14. 11. 73. C&I/ Communication. 40. 18. 00. 00. 00. 58. IT. 08. 00. 01. 00. 00. 09. Fire And Safety. 12. 00. 00. 00. 00. 12. Chemical. 20. 00. 00. 00. 00. 20. Informatics Assistant. 00. 00. 101. 107. 88. 296. Total Vacancy. 84. 129. 443. 336. 205. 1197. Electronics/ Electrical, Instrumentation & Control/ Power Systems & High Voltage/Power Electronics/ Power Engineering. In Mechanical/ Production/ Industrial Engineering/ Production & Industrial/ Thermal/ Mechanical & Automation/ Power Engineering. In Structural/Civil Construction/Civil Engineering or Equivalent. Assistant Engineer (IT). Candidate Having 2 Years Post Graduation Degree With 60% Marks (For SC/ST/PH With 40% Marks) in Computer Applications/ Computer Science/ Information Technology/ Electronics & Communications Engineering or Equivalent. Having 4 Years Graduation Degree in Engineering With 60% Marks (For SC/ST/PH With 40% Marks) or AMIE With 50% Marks in Computer Science/ Information Technology/ Electronics & Communications Engineering or Equivalent. Junior Engineer (Electrical/Civil/Control & Instrumentation Communication/ Fire Safety). Candidate Having 4 Years Full time Graduation Degree in Engineering or AMIE in Electrical/ Electrical Electronics/ Electrical, Instrumentation & Control/ Power Systems & High Voltage/Power Electronics/ Power\ Engineering. Having Electronics/ Electronics & Tele Communication/ Electronics & Communication/ Electronics & Power/ Power Electronics/ Electrical & Electronics/ Electronics & Instrumentation/ Instrumentation & Controls. Having Full time Graduation Degree in Fire Fighting/ Industrial Safety Engineering. in Industrial Safety from a University/Institution. Junior Chemist. Candidate Having 2 Years Full time Post Graduation Degree in Chemistry or 4 years Graduation in Chemical Engineering. Informatics Assistant. Candidate Having Graduation degree or Equivalent in Computer Science/ Computer Engineering/ Computer Applications/ Computer Science & Engineering or Electronics or Electronics & Communication or Information Technology. Having Full time Post Polytechnic Diploma in Computer Applications or 3 Years Diploma in Computer Science & Engineering/ Computer Applications/ Information Technology. Having Diploma in Computer Science/ Computer Applications/ Information Technology. Having Graduation With "O" Higher Level Certificate Course By (NIEIT)/DOEACC. Having Graduate in Computer Operator & Programming Assistant (COPA)/ Data Preparation and Computer Software (DPCS) Certificate And Having WPM 20 in English And Hindi Typing. For Assistant Engineer (Electrical/ Mechanical/Civil). Min 21 And Max 41 Years. For Assistant Engineer (IT). Min 21 And Max 40 Years. For Junior Engineer And junior Chemist. Min 21 And Max 41 Years. For Informatics Assistant. Min 21 And Max 40 Years. Age Relaxation. 5 Years For SC/ST/BC/MBC/Women Candidates. 2. Candidate Have To Click on Registration Link As Given on Our website in Important Links. 3. Candidates Are Required to Register First Already Candidate No Need to Register Again. 4. Candidate Need to Upload All the Mandatory Documents Like Cast Certificate, Mark Sheet Along with Passport Size photos As Mentioned in Notification. 5. Candidate Need to Apply Before 02nd July 2018. 6 Candidate Can Take Printout For Future Reference. Q. What is the Last Date For RRVUNL Stenographer Document Verification Vacancy ? A. Last Date for RRVUNL Stenographer Document Verification Posts is 02/07/2018. Q. What is the Form Type of RRVUNL Stenographer Document Verification Recruitment ? A. The Form Type for RRVUNL Stenographer Document Verification Posts is Online. Q. How many vacancies are available in Rajasthan Rajya Vidyut Utpadan Nigam Limited Stenographer Document Verification Posts ? A. There are about 1000 Vacancies in Rajasthan Rajya Vidyut Utpadan Nigam Limited Stenographer Document Verification Posts. Q. What is the Full Form of RRVUNL ? A. Full Form of RRVUNL is Rajasthan Rajya Vidyut Utpadan Nigam Limited .